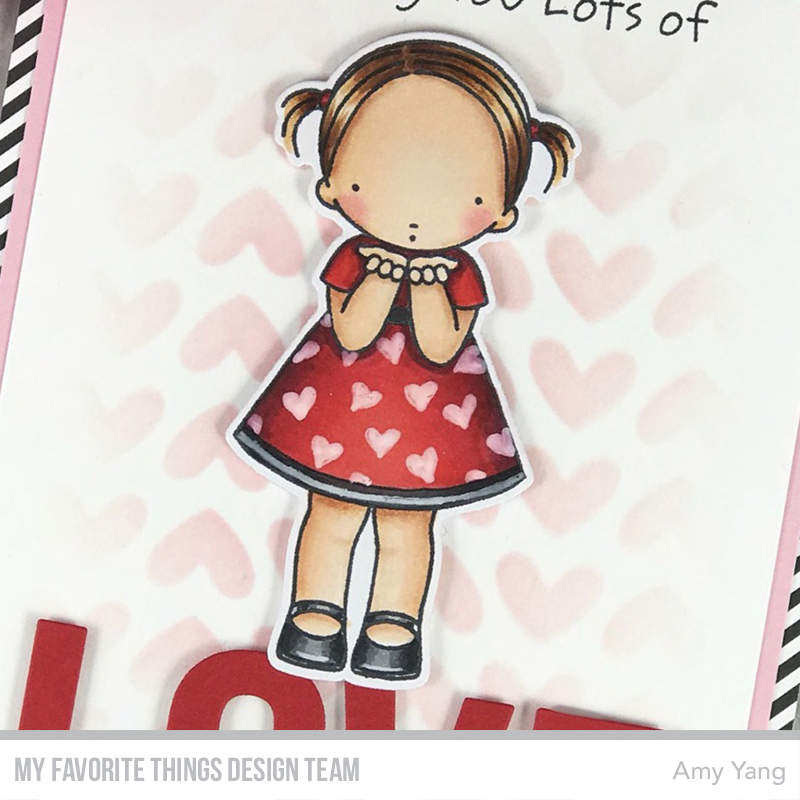 My card today features the Pure Innocence Blowing Kisses stamp set. I colored the girl with Copics and cut her out with the coordinating die. I drew in the hearts and the stripe on the bottom of her dress with a white pen. For the front panel, I stenciled in the hearts with a light hand using Tickled Pink Premium Dye Ink. I stamped the sentiment on top leaving the word love out to be completed by the die-cut "LOVE". I mounted the word at the bottom of the panel with foam tape, using the negative cut to help me line it up. To finish, I added the girl with Foam tape as well. Very cute card! :) You do an amazing job coloring! This Pure Innocence stamp is just adorable - love your card! 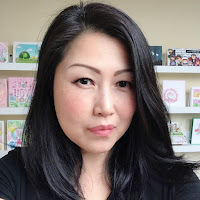 She is so adorable and your card is too! Your card is adorable. Love that sweet PI image and all the details on your card. So adorable! Love her red dress with pink hearts!! Adorable!! Love the subtle heart background. The black and white diagonal is a perfect frame for the card. Your card is so sweet. I'm so glad I get your emails I'd be afraid of missing your cards. 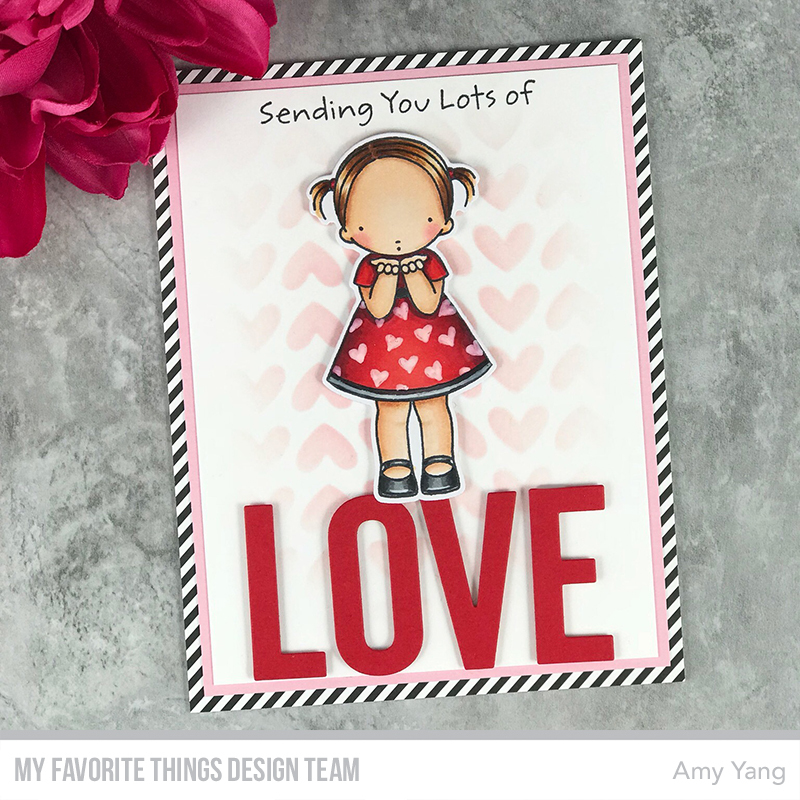 LOVE everything about your card!!! Adorable dress and great coloring! She’s so cute! Love the dress! Wonderful inspiration, you little girl is so sweet. Cute card. I like the layers in the background. How bold and sweet! I love how you added the hearts to her dress--nice touch! So sweet! Lovely layers and beautiful design! Such a lovely girl! Pink and red are perfect for her! Amazing card! Love all the details on her dress with the stenciled hearts and the lines. You are so talented! Adorable card - love the use of the stencil in the background and the hearts on her little dress. Oh My! This is adorable! I love her standing on LOVE and your wonderful choice of color! This little girl is so SWEET! I love your coloring and the striped frame! The soft stenciled background is so pretty on here! She is so sweet. What a lovely card. I love the hearts on her dress, I need to try that with my coloring. Love how this cutie is perched on the love die! Such a cute card! I love the use of the black and white striped paper for a love card! Love the little hearts on the PI girl’s dress...adorable! She's so cute... fab card! What a sweet design Amy, love the colors and all the hear details sorounding this lovely PI girl. Thanks for all the wonderful inspiration, happy 2018! Love the way you've coloured this little cutie. Thanks for the inspiration. 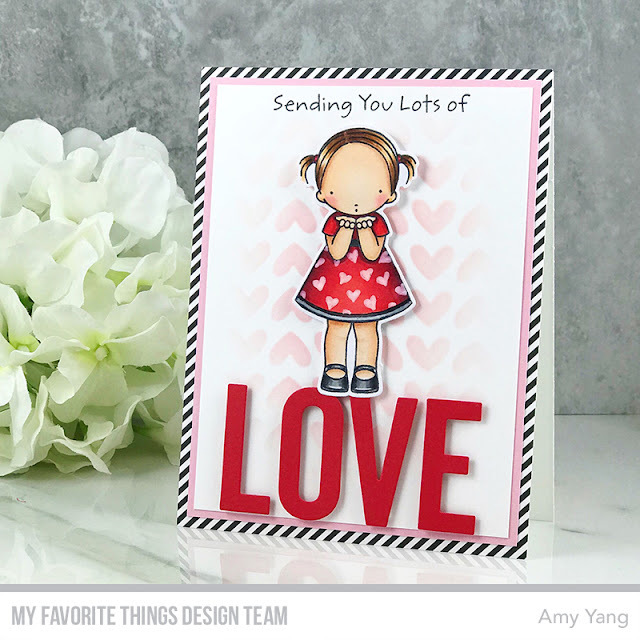 Your cards are always absolutely amazing Amy!!! 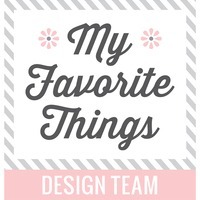 I love how well your designs flow. This card is so stinking cute. I haven't ever really been intetested in the Pure Innocence girl, but after seeing this card, I'm gonna have to buy this one for sure!! Thanks for the wonderful inspiration!!! Big Hugs!! Your card is darling! Excited to see all the new releases! So sweet. I like the heart background. That’s such a sweet card design ! So cute!! Love the hearts on her dress! Isn't that PI image just adorable? You did an amazing job with this new product launch! I love the faded heart background in this card, so cute! Gorgeous dress on the sweet girlshown off by the subtle hearts background ! Great coloring! I love this background! Such a cute card! I'm so glad I bought this. Thanks for the inspiration. Adorable card! Love the colors and heart background! Love how cute you decorated her dress. This card is adorable! I love the heart background! Such an adorable card! I love the stencilled background! I adore her blowing kisses and your soft heart background is perfect for this! Cute!!! And that striped paper packs a punch!